Today’s businesses operate in a global, interconnected market place with increasing transparency and ever-rising expectations of behaviour. A company’s approach to ethical issues such as bribery and corruption, labour standards, environmental impact, health and safety can make or break reputations. GoodCorporation offers a range of business ethics services. 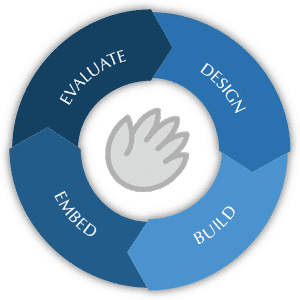 We work with clients to design and embed effective ethics and compliance programmes that protect and build reputations. We ensure that the correct policies, procedures and systems are developed, tailor-made to the needs of each organisation. Ensuring that a business is properly protected from ethical or compliance lapses requires a rigorous ethics and compliance programme. While the ethical values and cultural tone should be set at the top of any organisation, ensuring that policies are implemented and the right practices are in place requires a comprehensive training and communications programme. This requires a company-wide approach, engaging with all stakeholders. Boards, management teams, regulators, JV partners and customers need assurance of good practice. We offer accreditation against the GoodCorporation Business Ethics Standard and carry out the accreditation audits for Investing in Integrity and the Banknote Ethics Initiative. 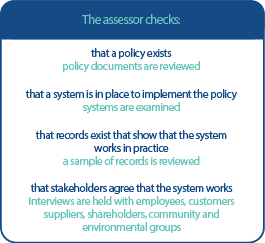 GoodCorporation uses an independent assessment process that looks at levels of evidence for each practice. 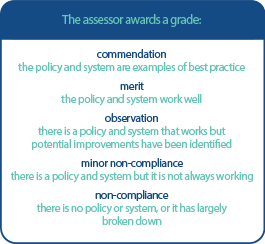 Assessment grades are awarded against a five-point scale. Stakeholder interviews are conducted with all relevant groups to assess what is working on the ground. A detailed report and action plan is provided for the senior management team.